Alright, I’m (hopefully) (almost?!) 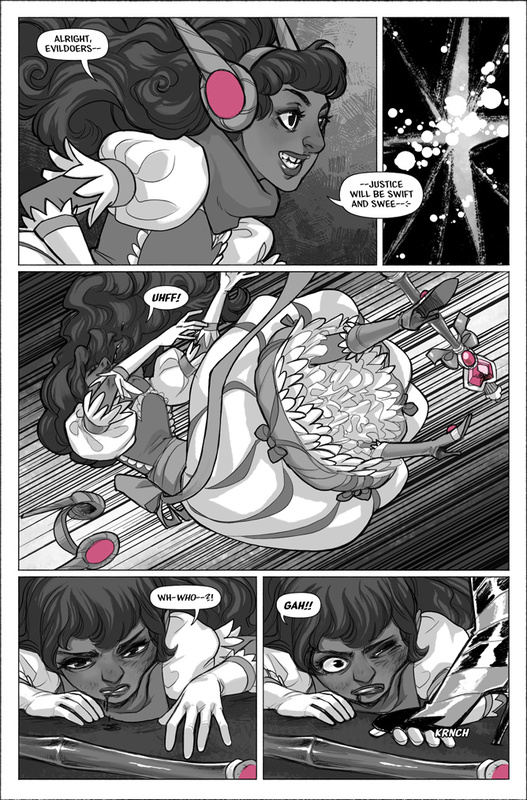 done with the Nine Thousand Con Plagues of Fan Expo, so here’s this week’s page of Shattered Starlight. Continuing the Cupcake Cadets’ completely, entirely, extremely uneventful evening!